Dinner with Chicago Public Square, anyone? To mark the second year in a row Chicago Public Square has made the list of finalists for the Chicago Headline Club’s Peter Lisagor Awards for Exemplary Journalism, here’s a special deal: For a limited time, readers who pledge or upgrade their support for Square at the Devotee level ($35/month) or higher will get a seat—and a meal—at a special Square table at the Peter Lisagor Awards for Exemplary Journalism dinner the evening of Friday, May 10, 2019 (a $130 value). 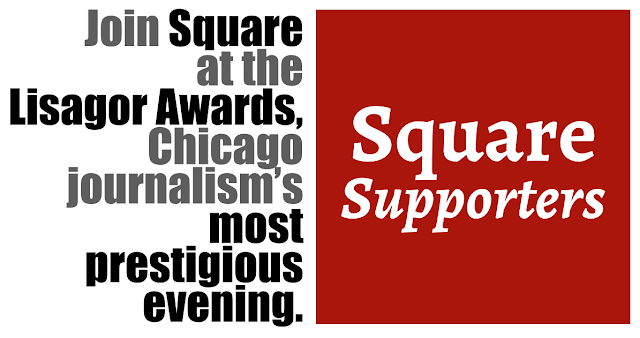 This is your chance to dine at Chicago’s Union League Club with your fellow Square fans, witness the most prestigious night in Chicago journalism, celebrate some of the region’s most talented journalists … and help underwrite Square’s brand of smart news coverage that doesn’t waste your time. ■ Your name added to the roster of The Legion of Chicago Public Squarians. ■ A retweet or quote from you on Twitter (if you wish). ■ Lisagor seating is limited. This offer expires April 20, or whenever all available seats are claimed. If you want in, don’t wait. ■ You can opt not to have your name published in Square; just indicate with an N in the “Publish my name” order-form field. ■ You can change your support level or discontinue your pledge at any time. ■ P.S. 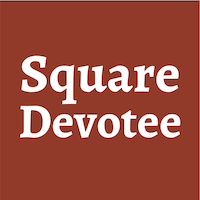 Can’t spare $35 a month, but want to support Square anyway? You can do that for as little as $5 a month here. ■ For the company or organization of your choice—profit or nonprofit—one top-slot promotional text message in an issue of Square. ■ For the company or organization of your choice—profit or nonprofit—one bottom-slot promotional display message (with graphics) in an issue of Square. ■ For the company or organization of your choice—profit or nonprofit—one top-slot promotional display message in Square each month you remain pledged at this level.